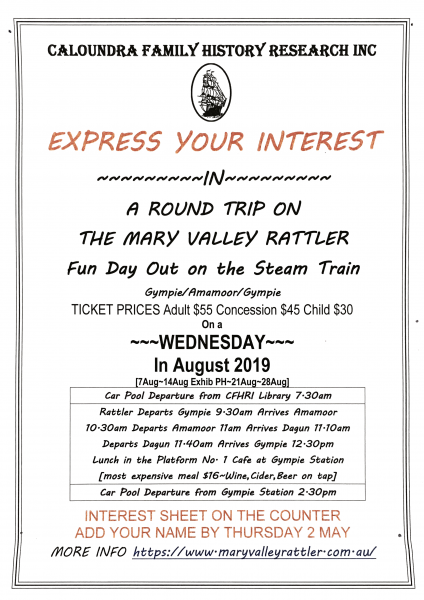 The 2nd May is the last chance to sign up to indicate your expression of interest for the Mary Valley Rattler Train trip at Gympie / Amamoor / Gympie. The sign-up form is at the Library. If you cannot get to the library in time then leave a note in the comments below and it will be passed to Roz or contact Roz directly. Include your name and preferred date options.